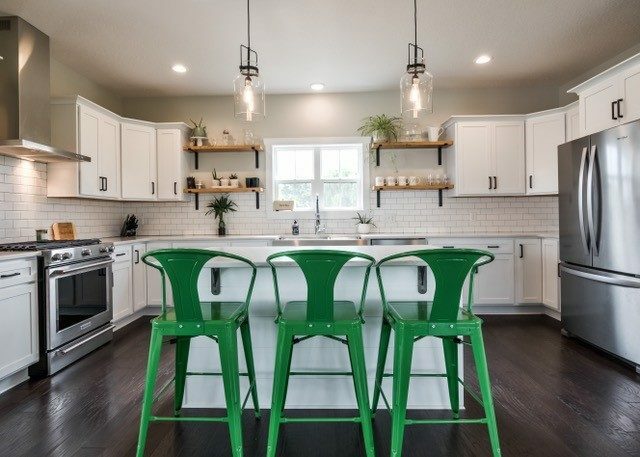 With the popularity of the home remodeling shows, home owners across the country are anxious to take out their tool box and remodel their home too. Most often, remodels are better suited to professionals however, and this can cost significantly more. Regardless of the method, remodeling projects are not inexpensive, so making the best impact for the cost is important. Here are the top 5 rooms to remodel. 1. Kitchen – Always a great return on investment. From functional spaces to bona find living areas, add extra seating, lighting and entertaining spaces such as a bar or counter. 2. Backyard Kitchen/Family Room – The backyard is an extension of the interior. Section off areas for an outdoor kitchen and family room. Add a fireplace or even a TV. 3. Master Bedroom – Always a place to retreat and refresh. Master bedrooms are getting makeovers with calm soothing paint colors, large picture windows and balconies or patios. 4. Guest Bathroom – While not often the first thought, a powder room is easy to remodel and gives a great impression. Make the space look larger with a monotone color scheme. 5. Bonus Room/Media Room – Create a unique space with a media room or bonus room. Extra space which will bring more than its share of cost when selling.